According to the Cardinal, “the outrages that Jesus receives in the Sacred Host” are first of all “the horrible profanations, which some former-Satanists (now converted) gave horrifying descriptions of”; but also “sacrilegious Communions, received when not in a state of grace, or not professing the Catholic faith”. 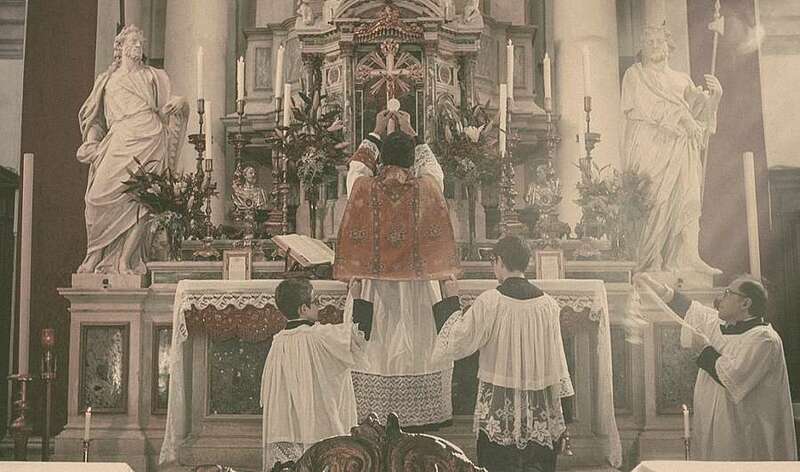 Moreover “All that might impede the fruitfulness of the Sacrament, above all, the errors sown in the minds of the faithful as they no longer believe in the Eucharist”. But the most insidious diabolical attack consists “in attempting to extinguish the faith in the Eucharist, by sowing errors and favoring an unbecoming way of receiving Communion; truly the war between Michael and his Angels on one side, and Lucifer on the other, continues in the hearts of the faithful: Satan’s target is the Sacrifice of the Mass and the true Presence of Jesus in the Consecrated Host”. This attack follows two lines: the first is “the reduction of the concept of the ‘Real Presence’, with the neutralizing of the term “transubstantiation”. 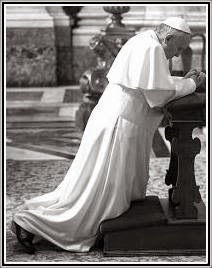 Cardinal Sarah’s observations are more than right, but must be placed into a process of secularization of the liturgy which has its origins in the ambiguous Novus Ordo Missae of Paul VI (April 3, 1969) which next year sees its ominous fiftieth anniversary. This liturgical reform, as Cardinals Ottaviani and Bacci had written when presenting their Brief Critical Study, represented “both as a whole and in its details, a striking departure from the Catholic theology of the Mass as it was formulated in Session XXII of the Council of Trent.” A new theology of the Mass replaced the traditional one, the notion of sacrifice was removed and faith in the Eucharist, in praxis, was undermined. Let us also say that the attack on the Eucharist has today become an attack on Holy Orders, because of the close link that unites the two Sacraments. 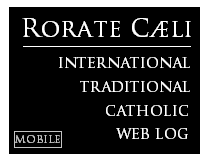 The visible constitution of the Church is founded on Holy Orders, the Sacrament that renders the baptized participant in the Priesthood of Christ; the priesthood is principally exercised in the offering of the Eucharistic Sacrifice which requires the miracle of transubstantiation, the central dogma of the Catholic faith. If the presence of Christ in the Tabernacle is not real and substantial and the Mass is reduced to a mere memorial, or symbol, of what happened at Calvary, there is no need for priests who offer the sacrifice and since the hierarchy in the Church is founded on the priesthood, the constitution of the Church and Her Magisterium are annulled. In this sense the admittance of the divorced/remarried and the Protestants to the Eucharist is linked to the prospect of assigning the priesthood to married lay-people and conferring the minor holy orders to women. The attack on the Eucharist is an attack on the priesthood. There is nothing greater, more beautiful, more touching than the mercy of God towards the sinner. That Heart which has so loved mankind, by the intercession of the Immaculate Heart of Mary, to which He is inseparably bound, wants us to enjoy eternal happiness in Heaven and nobody, not even the most hardened sinner, can doubt this redeeming love. For this reason we must never lose trust in God, but conserve this until the end of our lives, as no-one has ever been deceived by this ardent trust. Our Lord does not deceive us, but we can try to deceive Him and ourselves. And there is no greater deceit in making believe that it’s possible to be saved without repenting of our sins and without professing the Catholic faith. Those who sin or live in sin, if they repent, will be saved; but if they presume to deceive God, they will not be saved. It is not God that condemns them, but themselves, as, by approaching the Sacraments unworthily, they eat and drink their own condemnation. It is St. Paul who explains this to the Corinthians, with these grave words: “Therefore whosoever shall eat this bread, or drink the chalice of the Lord unworthily, shall be guilty of the body and of the blood of the Lord. But let a man prove himself: and so let him eat of that bread, and drink of the chalice. For he that eateth and drinketh unworthily, eateth and drinketh judgment to himself, not discerning the body of the Lord.” (1 Cor. 11, 27-29). St Paul noted then that, in the Corinthian Church, as a result of sacrilegious Communions, there were many cases of people who mysteriously became ill and died. (1Cor. 11,30). Sad is the fate of those who do not approach the Sacraments because they persist in a life of sin. Worse is the destiny of those who approach the Sacraments sacrilegiously, not being in a state of grace. Even graver is the sin of those who encourage the faithful to receive Communion in a state of sin and administer illicitly the Eucharist to them. These are the outrages that wound and pierce most deeply the Sacred Heart of Jesus and the Immaculate Heart of Mary. These are the sins that demand our reparation, our presence in front of the Tabernacle and our public defense of the Eucharist against all kinds of desecrators. Doing thus, we will secure our salvation, that of our neighbor and accelerate the coming of the Kingdom of Jesus and Mary in our societies, which will not take long to establish itself upon the ruins of the modern world.